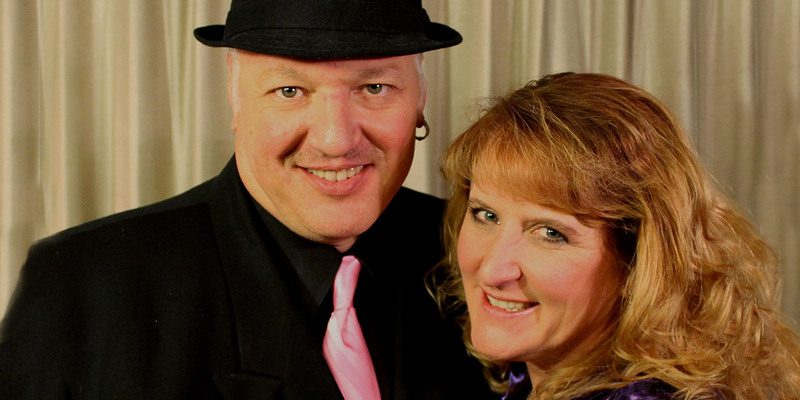 Jazz musicians Kristy and John Cocuzzi from the Sacramento, California region, will be coming to Pagosa Springs on Tuesday August 4 as part of the Free Summer Concert Series at the Pagosa Springs Center for the Arts Free, sponsored in part by First Southwest Bank and Mountain Landing. The free concert starts at 7pm. 100 chairs will be placed out for the event, and there will be standing room/bar stools for 30 more people. PSCA will accommodate the crowd on a first-come first-serve basis. Can’t fit in? Enjoy the music from our beautiful patio! Kristy has a sultry voice that has thrilled audiences all over for 30 years, and was featured on vocals, sax and clarinet with ‘Big Tiny’ Little’s band for almost 10 years. She has toured as lead alto, clarinet, and vocalist with the “Live Lawrence Welk Show” throughout the United States and Canada, and as a member of the “Champagne Music Makers” at the Welk Resort in Branson, Missouri. She is also part of the Wunnerful Women of Welk vocal quartet, alongside MaryLou Metzger, Ava Barber, and Gail Farrell. She has worked with the Temptations, Frankie Valli, the Russ Morgan Orchestra, the Jimmy Dorsey Orchestra, the Cab Callaway orchestra, the Drifters, and has appeared alongside great musicians including Dave Bennett, Arthur Duncan, and Sandor Benko. John Cocuzzi plays with passion and intensity on piano, vibes, vocals and drums. For more than 35 years, John has been entertaining crowds internationally performing alongside jazz and blues greats such as Bucky Pizzarelli, Duke Heitger, Allan Vache, Ken Peplowski, Dave Bennett, Harry Allen, and Antti Sarpila at festivals, ocean cruises and jazz events across the United States and in Europe.. With dynamic style and diverse rhythms, John’s innovation breathes new life into familiar tunes, from swingin’ and burnin’ jazz and blues to lush and sultry ballads. An intuitive performer, John possesses that musical “fire in the belly,” igniting the crowd with skillful improvisation. Together John and Kristy bring 60 combined years of youthful enthusiasm and experience to the concert hall. As well as performing, they are both known for successful workshops with students, building knowledge of the jazz idiom and inspiration to all. Their focus is on the music and all it has to offer, and they communicate that passion to the next generation with skillful ease and success, especially with Kristy’s background in education. 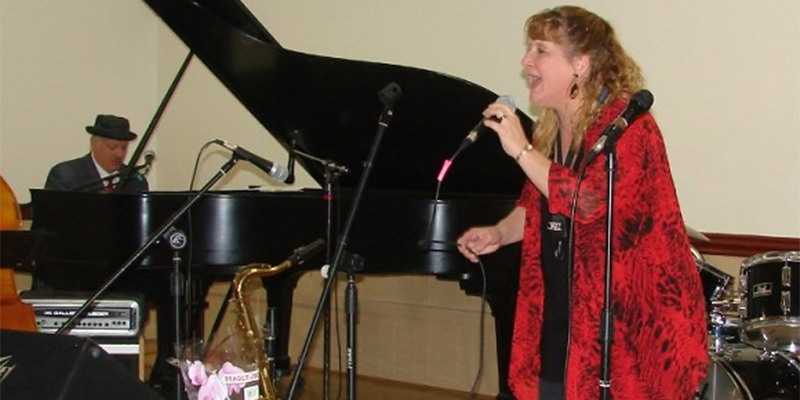 Don’t miss this free evening of jazz at the Pagosa Springs Center for the Arts. Doors open for the event at 6:15. A Bar and Crepe Stand will be open for cash purchases. No outside food or drink will be allowed at the event.